A Nursing Assistant is a medical professional who assists patients with their daily needs. 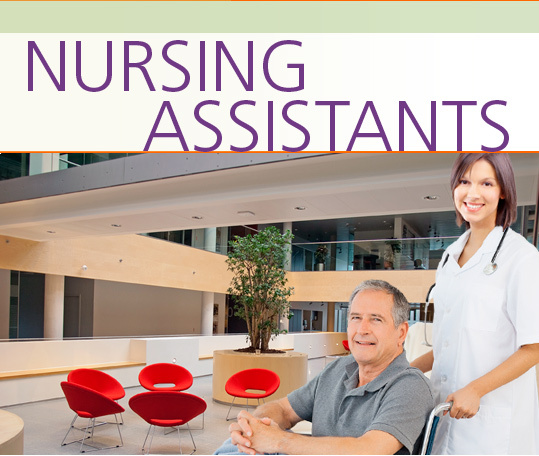 Nursing Assistants work in various settings including assisted living facilities, hospitals and private homes. In the Nursing Assistants Career Extension, students learn how to interview for a job and learn to discuss their experience, qualifications, and background. They become familiar with the work conditions a nursing assistant may encounter and the safety training they may need to undergo. They learn about and discuss on-the-job tasks and activities that they will be required to do. They learn how to deal with feedback from both clients and superiors, and discuss strategies for finding employment.